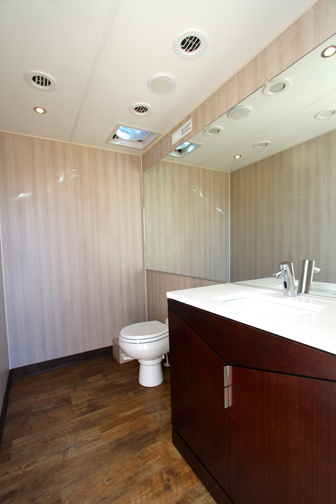 The EKOLav Tow-let is a fully custom 2 unit Solar Powered restroom trailer. 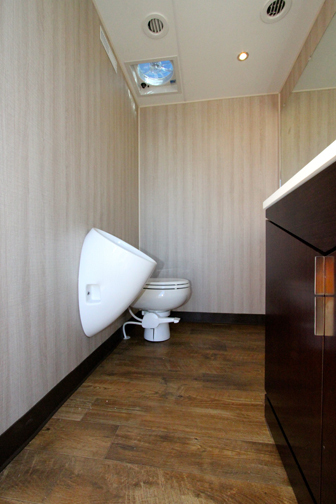 It features large mens and women’s rooms with modern solid surface residential vanity’s, Air Conditioning, Heat, Hot water, LED Lighting, AM/FM CD Radio with iPod connection. 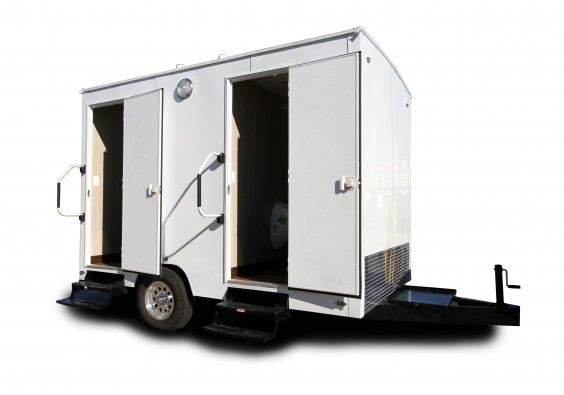 These units have extra large holding tanks to accommodate large crews and save you money.